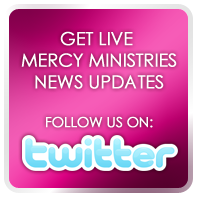 Mercy Ministries News: A Christmas They Will Never Forget! For many of our residents, Christmas time at Mercy Ministries is the first time they truly experience unconditional love and giving without strings attached. It is so much fun to see their faces when they open their gifts! Nancy Alcorn, Founder and President of Mercy Ministries, makes sure to be in attendance for the special Christmas parties every year in all of our U.S. homes. At each gathering tears are inevitably shed as the unconditional love of God is demonstrated through the generous donations we receive. For many residents, the sacrificial giving by hundreds of people who do not even know them, often heals some of the very painful memories of past Christmases. For those of you who chose to generously contribute Christmas presents for the residents, we would like for you to see some pictures of the girls as they opened their gifts. The emotions were high as they were presented with some truly remarkable gifts that included personally embroidered duffle bags, hoodie sweatshirts, and pajamas just to name a few! Also, each year our donors have the opportunity to write the residents a note of encouragement on paper ornaments and these notes are hung on the branches of the Mercy Christmas trees displayed in the homes. Here are a few pictures of the girls reading their notes and being encouraged by not only your gifts, but your inspiring words. Christmas at Mercy is always overwhelming. We are so grateful for your expressions of unconditional love that has given our young women a Christmas that they will never forget.